Hello! 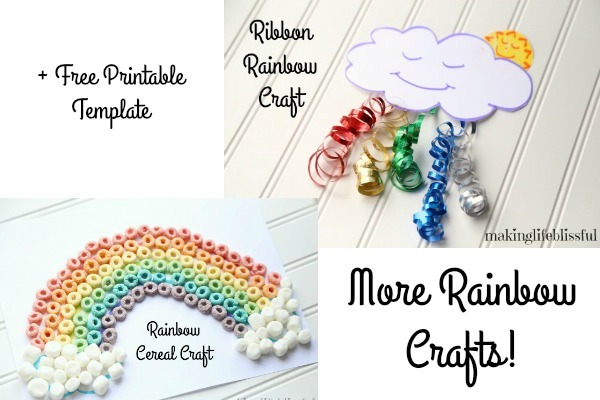 I hope you just checked out my first set of rainbow crafts for kids on in my previous post and now you are here for more rainbow craft ideas! 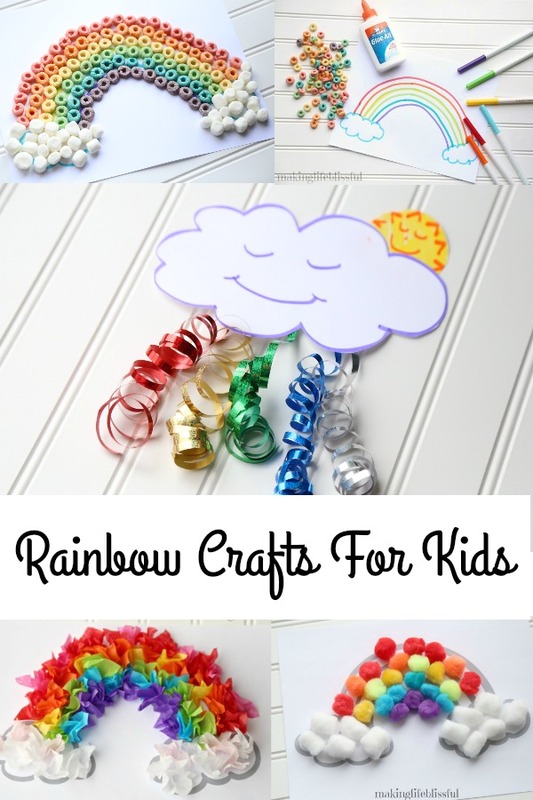 Kids love rainbow crafts. They give a hands-on experience to learn about colors, light, seasons, weather, and even holidays like St. Patrick’s Day, Springtime, Easter, or Summer. 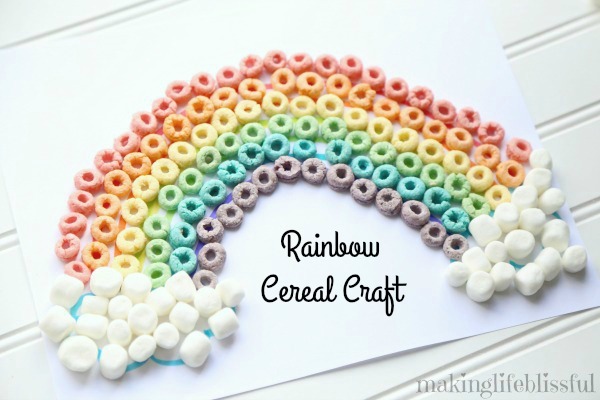 My rainbow craft ideas use common things you may already have at home like cereal, or curling ribbon. 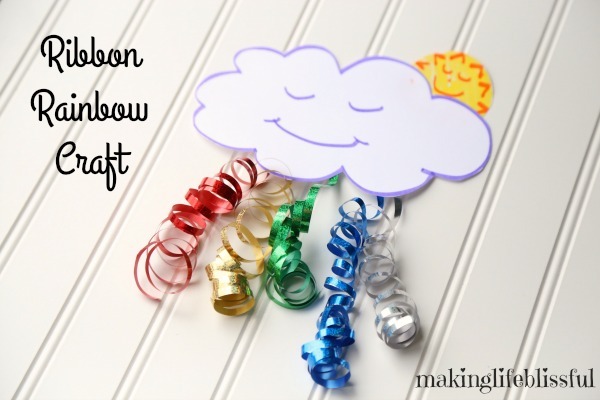 These rainbow crafts for kids can be created using crayons, markers, and drawn freehand or you can use my FREE PRINTABLE rainbow template and cloud template at the bottom of this post. 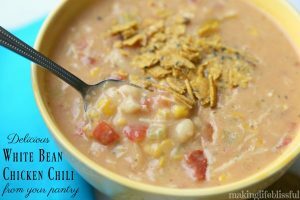 Either way this will get your rainbow creativity going! *This post may contain affiliate links to help fund the costs of my website. Thanks for stopping by! I love how colorful rainbow crafting is! 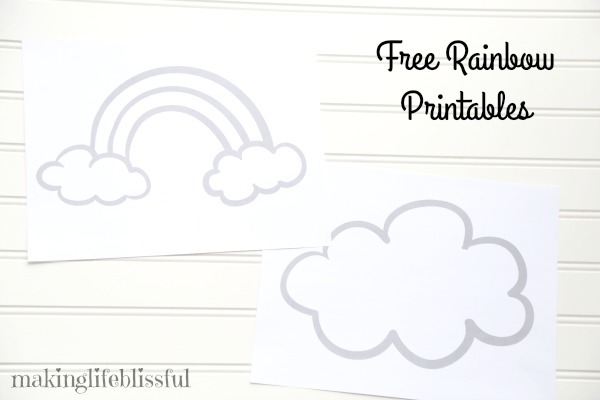 Be sure to get your free printable rainbow and cloud at the bottom of this post. 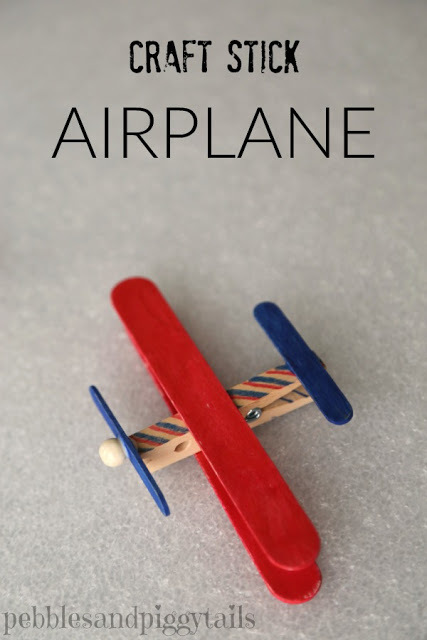 This craft uses such simple items and it looks so very cute to display when it’s finished! 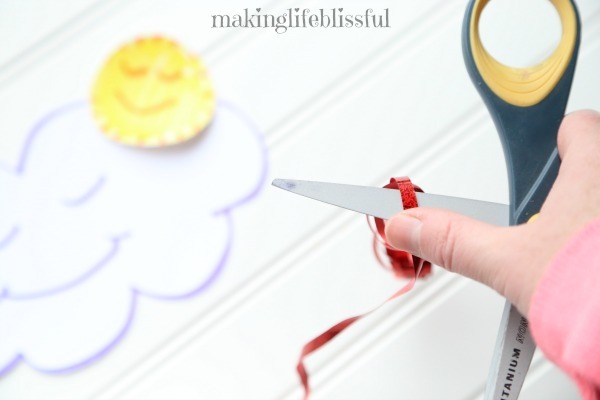 Cut a piece of each ribbon to be about 6-8 inches long and curl it by pressing the ribbon flat against the blade of the scissors and pulling quickly. Adults should do this part if children are too young. 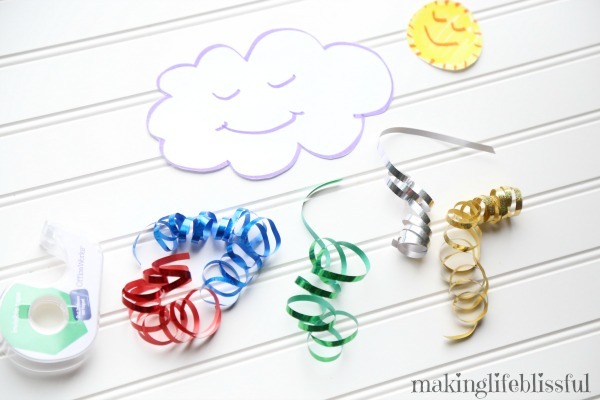 Curl each color of ribbon. 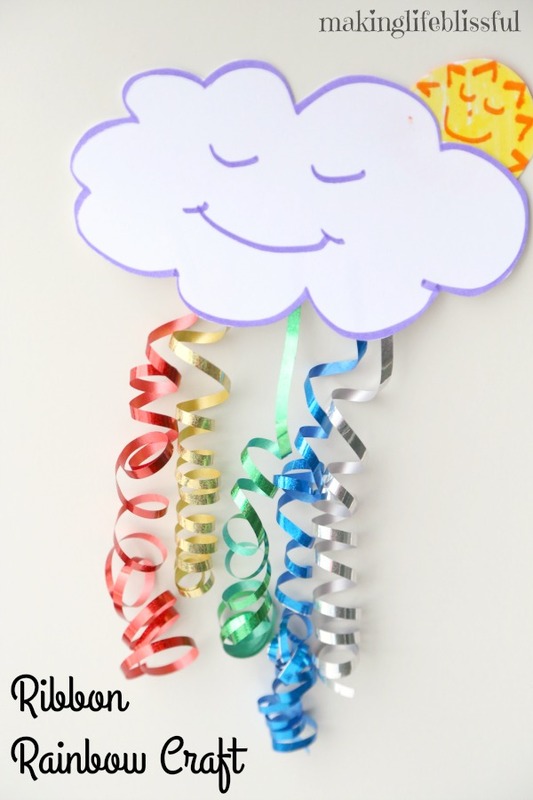 Cut out the cloud printable or your cloud drawing. Draw a sunshine if desired and cut it out too. 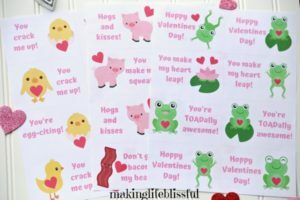 Decorate them with faces if you want. 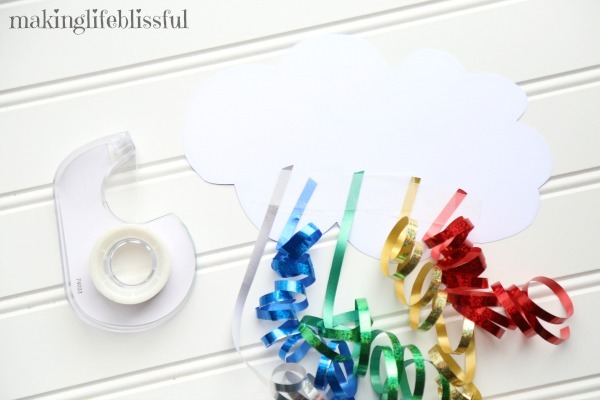 Attach the curled ribbons to the back of the cloud using tape. 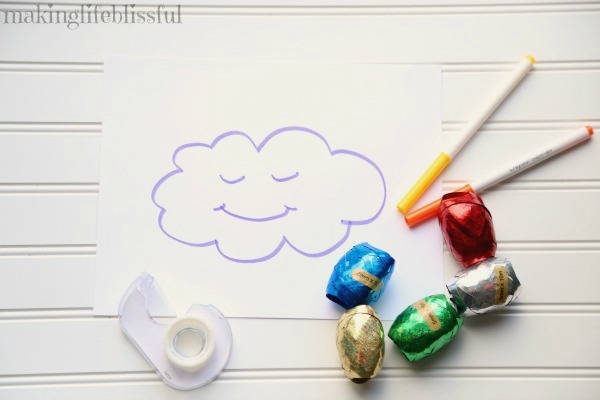 Tape the sunshine also on the back of the cloud but make sure it peeks out from behind the cloud and can be see from the front. And that’s it! 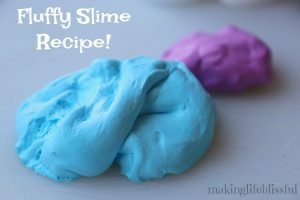 Such an easy, colorful craft! 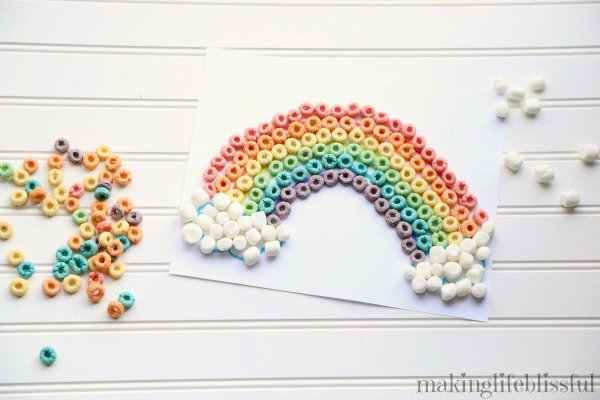 What kid doesn’t love a classic rainbow cereal craft? So thankful for Froot Loops cereal, right? 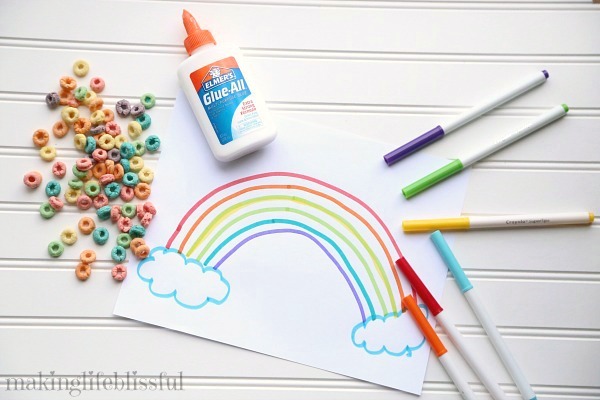 Draw a rainbow on white paper, or use the printable rainbow template. 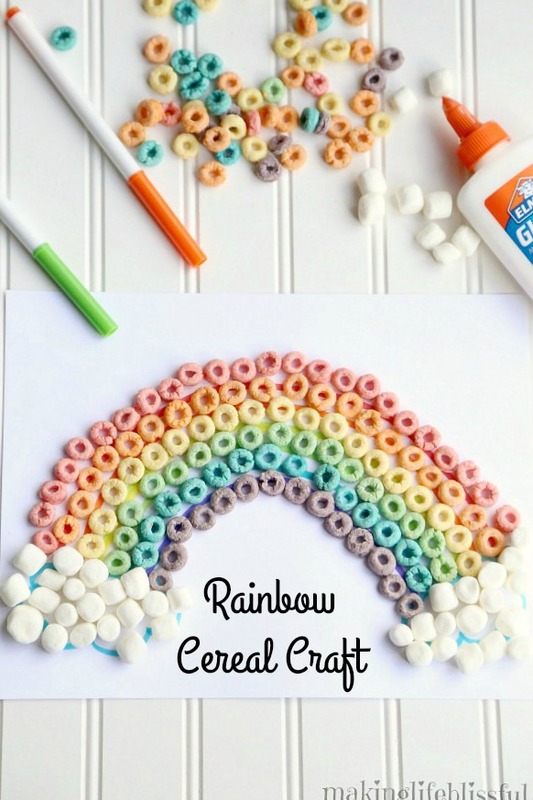 Attach the cereal and marshmallows to the paper using the craft glue. 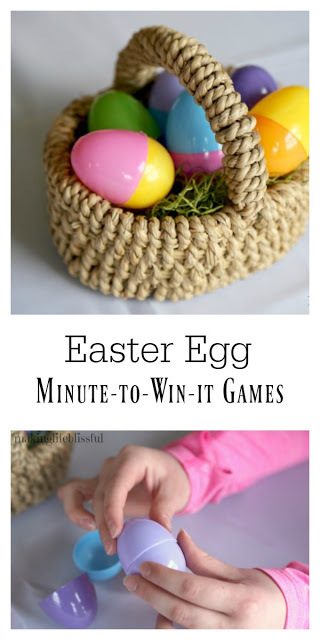 So simple, but it keeps them busy!